Sharpeners make great gifts. We’ve compiled a list of our top gift idea suggestions. If you still have a question, please don’t hesitate to give us a call. This sharpener is very popular among outdoor enthusiasts. It sharpens any knife, sharpens very quickly and is very easy to use. It is also one of our all time most popular gift items. This is a very good gift for any knife owner, but especially welcomed by outdoor fisherman, hunters and outdoor enthusiasts. It is a very high-quality electric knife sharpener and presents very well as a gift. 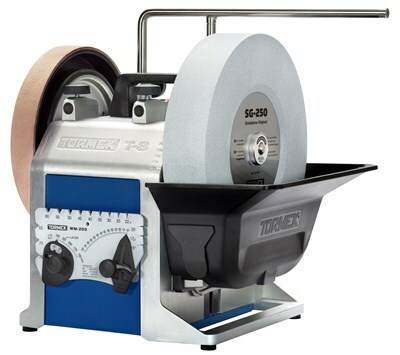 The Tormek T8 is the ultimate gift for the woodworker or woodturner in your life. 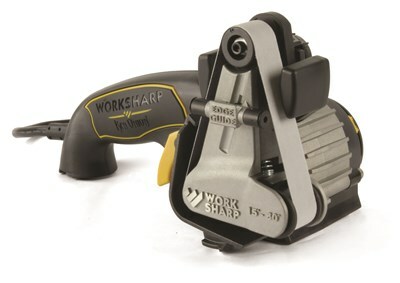 The Tormek system uses jigs to make difficult sharpening tasks simple and repeatable. This is the kind of system that is a once in a lifetime gift. If you know a deserving woodworker, we recommend dropping a few hints, just to make sure. 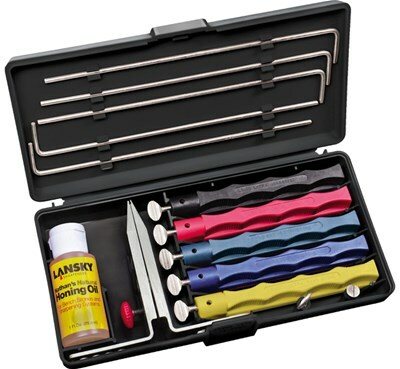 The Lansky Deluxe Aligner has been a popular gift item for many years. It's popular because it is easy to use, budget-friendly and comes in a complete package. Because it is so complete, there is nothing else to buy. The guided system takes the guesswork out of sharpening, just clamp your knife and select the angle. It comes with 5 different stones covering a range of grits. The 12” Double Sided Paddle Strop is so versatile that anyone can find a use for it. Whether your recipient has knives, tools or any just about anything with an edge, this strop can be used to refine the edge. If your recipient already has sharpening stones, this strop is the last step in the process to make the edge truly razor sharp. This strop is made in the USA so you can feel confident you're giving a quality gift. 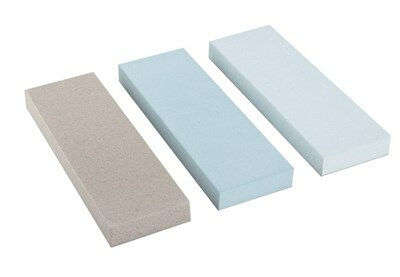 The DMT Dia-Sharp is our most popular sharpening stone kit for woodworkers. It meets the needs of woodworkers for a number of reasons. First, it has 4 stones so it has a wide range of grits. Second, the stones are very flat and stay flat. This is very important when sharpening chisels and plane irons. 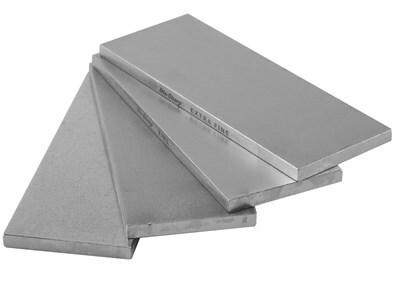 Lastly, unlike other stones, these don’t require flattening or other maintenance. It makes an attractive gift because it is a quality product. A Japanese water stone is the traditional choice to sharpen fine kitchen cutlery. This set is designed to offer a complete solution to sharpen kitchen knives. You can be confident giving this gift; it will put a razor sharp edge on any set of knives. 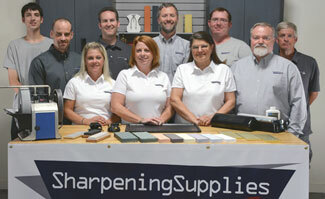 Giving a sharpening gift can be very rewarding, but it can also be a little intimidating. Our ideas above can help you make that gift decision. But if you want more specific advice, please give us a call, we're happy to help.